This blog is for all the mothers who are used to having their baby sleep well until one day their baby decides not to, turning the world into chaos and upside down. After the colic period and up to 20 months Charles slept very well and on most nights through the night. I mean he did have the occasional difficult night, especially when he was ill. But for the majority of the time he slept well, which made me feel super happy and quite proud of him! 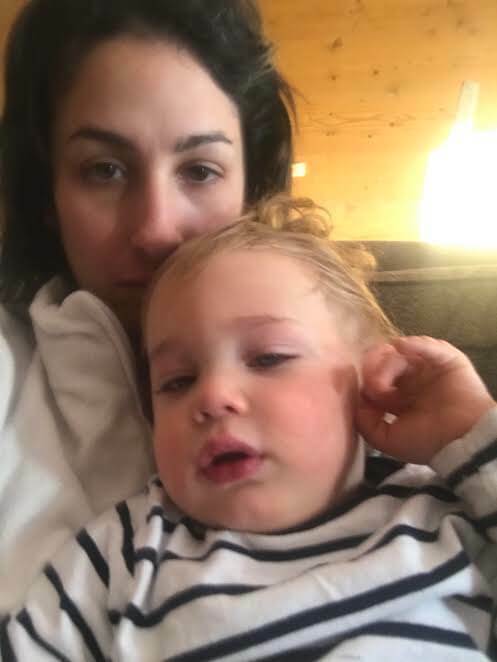 Then 20 months hit… something changed, something happened and I can’t pinpoint what caused this, but Charles became very hard to put to sleep, he would often wake up crying in the night and unable to go back to sleep. He became very upset when we left him alone in his room and refused to sleep, even though he was clearly very tired. We tried everything to get him to sleep, we tried to make sure he was totally relaxed and not stimulated for an hour before bedtime, we kept to the same routine… bath…story…bed. We kept him very busy during the day so he would be tired at night. We made sure he was not hungry before going to bed. We kept the door open so he wouldn’t feel alone. We even tried to let him cry it out and sometimes he would cry for 40 minutes. The crying for a long period broke my heart. This added strain on my marriage, I felt like my husband and I had different parenting techniques and we didn’t agree on the same solution to the problem. He also woke us up at night and one of us would have to try to get him back to sleep, which on some nights was a struggle. I cannot say exactly how long this period lasted for but it seemed it lasted forever at the time. I couldn’t work out why this happened. Was there an event that occurred in his life which upset him? Was he upset that both his parents worked during the week all day? I thought maybe he had separation anxiety because when the nanny put him down to bed after lunch he was fine with her. But when I tried at night he was in distress. Was he waking up at night because of night terrors? Who knows! Like most other problems we have experienced on the way, this seem to be a phase. I think it was around 23 month’s Charles became more relaxed and now goes to bed well. Sometimes he sings himself to sleep or he will just say bye bye and rolls over. The cutest thing now is instead of the crying in the middle of the night, I often hear him singing in his sleep. A sound I much rather hear. God knows what goes on in their little minds. One thing I know is this is a journey with my son and its only just beginning!